What a great discussion piece of race, class, and gender! As an Oprah Book Club Pick, I probably don’t need to sell you on the details, but suffice it to say that this story is made ever more enticing by the writing style and modern themes which highlight the different roles people play in society, and how they are pigeonholed, and pigeonhole themselves into these roles. Read this book if you are interested in connecting yourself to every character--Jones writes the characters into life in a way you can’t imagine! 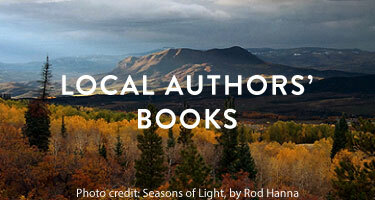 — From April Staff Picks to Warm You Up this Spring! Prison is debilitating — and not merely for the incarcerated. It breeds angst upon an extended community. Separation wreaks havoc on families, friends and lovers. 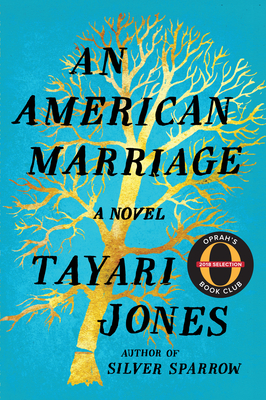 These are the less-publicized repercussions of incarceration that fall under author Tayari Jones' adept and meaningful scrutiny in "An American Marriage." Jones' new novel is deservedly one of the most anticipated books of 2018. It arrives on bookshelves this week with the added excitement that she will visit Steamboat Springs to talk about it at Literary Sojourn on Sept. 8. Celestial and Roy are still honeymooners — ambitious, educated, upwardly mobile newlyweds. From the start, they are chasing audacious dreams and reveling in that smug brand of love inhabited by early days of wedlock. She's gaining notoriety as an artist. He's a successful executive. They're talking babies and a bigger house. But they are black in contemporary America, and even the most common definitions of success and security are different when you feel a perpetual urgency to watch over your shoulder. Then a worst nightmare comes true. During a family visit to Louisiana, Roy is arrested and convicted of a crime he didn't commit. Locked up for a dozen years in a state with the country's worst incarceration record, Roy hangs his hat on hope even while the will of a deeply entrenched system prevails. Meanwhile, Celeste returns to piece together a single-woman married life in Atlanta — a routine that increasingly includes her lifelong friend, Andre. During years while Roy is in prison, life moves forward. Relationships bend in ways no one imagined. As you follow the prison letters, the tenuous nature of love is unearthed. Separation scours the depths of which emotions can survive, and what must die. You can feel the exhaustion of being embroiled in the dark complexity of a convoluted criminal justice system. These are institutions with persistent legacies that don't let human bonds skate pure and simple— not even the promises of love. Jones relays a tragedy that is raw and honest, a deeper and more personal narrative about being black in America than anything gleaned from politics or the news. When Roy is released early, it's not simply back to business as usual. As the readers, we are witness to the human flaws and the looming injustice. Jones lets her characters speak individually, each for themselves. Their multi-faceted perspectives, relayed in distinct first-person voices, ring true. She doesn't take sides. Everyone bears guilt, passion and suspicion. And each of them is broken in some way by the separation. Their struggles will win your heart, break it, and check your compassion.